I have come across your information on Barn Quarry and the graffiti written on one of the stones saying, G Smith killed in Barn Quarry July 20th 1896. He was my great grandfather, George Smith, who was married to Elizabeth Neate. He was a quarry man and was killed by a blow from the crane handle. I've only recently found this out when I obtained a copy of his death certificate. George's wife, Elizabeth, had been married before; in fact, she had a very chequered life, married four times, fourteen children and lived most of her life bringing up her family on Box Hill. Elizabeth had a difficult childhood, an illegitimate child to Sarah Neate, born in Atworth on 28th May 1856. Elizabeth's mother, Sarah, was the third child of John and Hester Neate, farmers at Millsplatt, Box, in 1841. I gather John was a farm labourer, farming the land on Millsplatt and living in one of the tied cottages. Millsplatt went into decline and the owner Rev T Heath of Calstone let out the house and cottages to William Wiltshire which were then let to tenants running their own business. John Neate was therefore one of these renting a cottage or part of, working the land and trying to earn a living for him and his family. They were unsuccessful in the business and ten years later John was employed as an agricultural labourer and living at Church Street, Atworth, probably still there in 1861 when the family were recorded as still in the Bradford area, near a Primitive Chapel. From there they moved to Pigeon Farm, Greenham as shown in the 1871 and 1881 census. Back to the life of Elizabeth who was born in Atworth in 1856 when her mother Sarah was sixteen. No father was recorded on her birth certificate and she took her mother's surname. Three years later Sarah married Jacob Franklin, widower and labourer, who had two children by his first wife, Sarah Barnett. 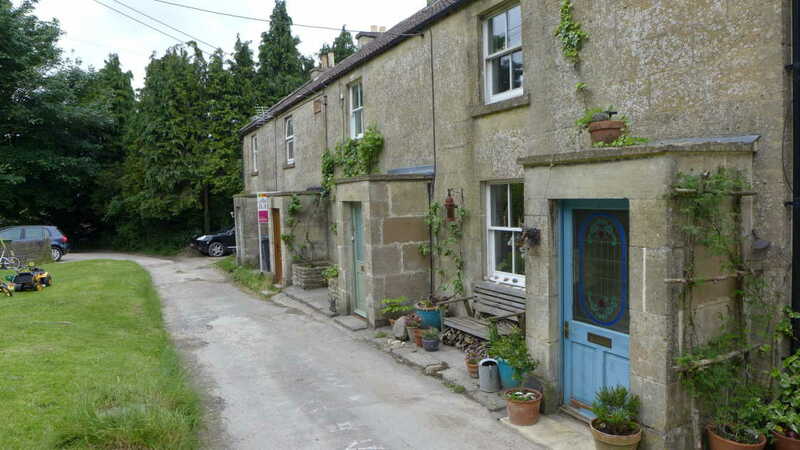 In 1861 Elizabeth was living with her grandparents, John and Hester, at Bradford-on-Avon but we shouldn't make judgements about this which may have been for convenience rather than disagreement. By 1871 the family were all together, living at Box Hill with eight children: Elizabeth, who was described as Sarah's sister for reasons of bureaucratic delicacy, two from Jacob's first marriage with Sarah Barnett, and the rest by Jacob and Sarah Neate. We don't get a full picture of Jacob but it is worth recording that a person of that name was in Devizes Prison in 1843. Was this the same man? If so, that may be the reason Elizabeth wanted to leave home as soon as possible. Elizabeth married, aged sixteen. Her first husband was William Simpkins, a quarryman and son of a quarryman, and they were married on 7 September 1872 at St Thomas à Becket Church in Box, when William was seventeen. William was a quarryman born to Joseph Simpkins (b 1825), mason from Ditteridge, and Jane Cannings also from Ditteridge. By 1861 the Simpkins family had moved to Box Quarries by the Road, presumably for work. They had four children, one of whom was Henry John Thomas Simpkins, a rather dubious character whom you can read about in a separate article. William died in 1880 at the age of only 25 and I guess that may have been a quarry accident. With William's death, Elizabeth was left with two surviving children under seven, two having already died. She had no parental support and took in washing in order to pay the rent of her Quarry Hill house. As a laundress, she would have to stoke the coal-fired boiler every day, soak and stir the wet clothing, hang the washing around the house to dry (particularly difficult in wet weather), heat flat irons and iron the clothes. All this and manage the house and family. The option for most women was to marry again, which Elizabeth did on 29 April 1882 at the Bath Registry Office. Elizabeth's second marriage was to thirty-four year old George Smith, another quarryman and widower. His family were local to Box and were originally workers on the land. In 1861 whilst living with his parents George was recorded as a shepherd with his father William at Henley Farm, Box, which they probably occupied as part of a tied cottage. A decade later the family was living at Wadswick, where William was recorded as in receipt of (Parish) Relief , but this was crossed out, perhaps no longer being paid. George was the principal wage-earner as a quarryman. George had married a local girl Frances Yeeles on 8 July 1871 at Thomas à Becket Church and had eight children in as many years. Most of the pregnancies resulted in still-births or infant mortality and only three survived to infancy. Frances herself died in 1881, probably exhausted by child-bearing complications, and George was left with three children under six years. He worked as a stone miner in Box Quarries, the most dangerous activity in the quarry industry and lived in a cottage close to the Quarryman's Arms pub. I can only guess that George was introduced to Elizabeth at some time following William Simpkins' death. The were married on ​29 April 1882 at Bath registry office. I have both the marriage certificates. I like to think that, as two mature adults, Elizabeth and George had a happy and fulfilling relationship, which they both deserved. They had eight children in their fourteen years together, one being Susan Edith Smith, my grandmother. They also had the various step-children living with them from time to time and in 1891 the household comprised George and Elizabeth, Elizabeth's son John Simpkins, George's children Alfred and Annie Smith, and five of their own children. ​We get a feeling about their struggle to feed so many mouths when George was charged with trespassing onto the land of Colonel Northey, lord of the manor, in 1894 to shoot game. It wasn't the first time that he had been in trouble for poaching as he had a similar offence at The Firs, Box, in 1885. As a young man George had several brushes with police, including joining with others in an assault on a man at the Horse and Jockey Pub, Box. ​George was an experienced quarryman, but by 1896 probably becoming too old to do hard manual work. The quarry trade was in decline by the late 1890s and seven of the individual Box stone firms amalgamated to form the Bath Stone Firms Limited to cut costs. George transferred from Box Hill to Barn Quarry at the top of the modern Barn Piece, possibly he moved into Elizabeth's rented house in Quarry Hill. He was in charge of crane lifting stone blocks when the fatal accident occurred. His death was reported as, Whilst drawing a block of stone forward by a hand crane, the block tippled over the bench causing the crane to swerve suddenly and the handle crushed him against a pillar. He was 50 years of age. I have a copy of his death certificate mentioning George's death in the quarry, which was how I came across your website. It must have seemed to forty year-old Elizabeth that fate was against her when George died leaving her with six surviving infant children at home and numerous step-children and children from her previous marriage. Again, marriage seemed the only solution when she met Charles George Benjamin, quarryman aged 35. 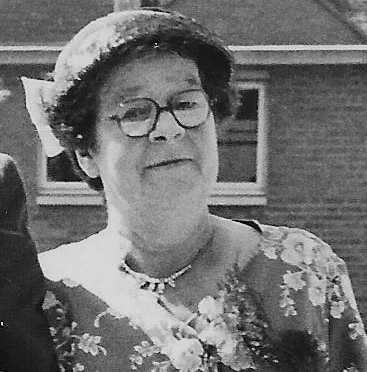 There were various branches of the Benjamin family locally, one at Ditteridge and another in the Box Quarries, led by the redoubtable matriarch Cecilia Benjamin (nee Bowman). It is worthwhile mentioning the Benjamin family, especially mother Cecilia. She had come from Bath to marry in 1861 and had a son, Charles George, born the following year. The family settled in Box Quarries on the Hill, where three further children were born. When Celia's husband died in 1869 she was left to bring up the family on her own. The similarity between the Cecilia Benjamin and Elizabeth's own family must have made for mutual understanding. Elizabeth and Charles George Benjamin married in 1897 and had two children. Charles suffered from what we now call Post-Traumatic Stress Disorder as a result of serving his country in various theatres of fighting and was subsequently taken to Roundways Hospital, Devizes for treatment and for his own safety on the 25 July 1905. He passed away there on the 10 December that year. ​In the 1911 census fifty-two year-old Elizabeth was again recorded as a widow, now living at London Terrace, Box Hill with her two children by Charles Benjamin and her son, Frank Smith, farm labourer. Elizabeth was described as charwoman, cleaning people's houses, a very poorly paid job. ​She had a lodger, William John Dancey, a quarryman sawyer. He volunteered for duty for World War 1 in September 1914 aged 41 having previously served in the Somerset Volunteers. He was illiterate and had to make his mark at Corsham Recruiting Office. ​Elizabeth married William in 1915 when they were living at 1 Albion Terrace, Box Hill. He was discharged while serving in the Royal Defence Corps, no longer physically fit for war service on 3 December 1917. There had been an issue in July whilst unloading lumber at a Prison Guard Camp, Dorchester. The army doctor declared that he had hydrocele-testis (sometimes called orchitis, fluid on the testicle, possibly caused by mumps or by a sexually transmitted infection). The army denied his problems were caused by his military service but he was paid a military pension. Elizabeth and William continued to live at 1 Albion Terrace after the war, and William was employed as a quarryman and later a ganger, in charge of a crane and a group of workers. ​My great grandmother Elizabeth had buried three husbands, had fourteen children of whom at least three died in infancy. Another child, Frederick George Smith, died at Salonika on 17 July 1918. I hope that Elizabeth found peace in her final years. She died in 1929 when she fell down three steps at the back of her house, fracturing several ribs. She died the next day from shock. There was a similar tragic ending for William Dancey, who was run over by a lorry whilst walking in the gutter of the road near his home in 1933. A verdict of accidental death was returned for each of them. ​How should we judge the women of Box Hill and Elizabeth Neate in particular? Contemporaries in lowland Box village sometimes described the people on Box Hill in disparaging terms. They used words like uncouth, immoral and blasphemous because they did not always fit with High Victorian cultural norms. We have different value judgements and would use words like they occasionally swore, had children without being married first and that they were Methodists. Our judgement of the women on Box Hill was that they were extremely hard working, often dealing with violent husbands, lack of education and too many children. Elizabeth struggled to bring up her children decently after the death of three of her husbands. Poverty dictated her life choices and she was much admired locally. It is hard not to admire her personal courage and resolution. John Neate (b 1812) and Hester (b 1811) who farmed at Millsplatt, Box, in 1841. Children: Eliza (b 1831, possibly died before 1841); Daniel (b 1833); William (b 1836); Sarah (b 1839); John (b 1841); George (b 1842); James (b 1847); Mary (b 1851); and Frederick (b 1858). ​11 November 1844 and had at least one child with her, George (b 1849). By 1881 Jacob and Sarah had moved to Widdenham Lane where Jacob was employed as a farm labourer. Sarah (b 1862); John (b 1864); Henry James (b 1866); Rosena (b 1868); Lily (b 16 April 1870); Alice Ada (b 1872); Emma (b 1875); and Ellen Louisa (1879 - 1919). 1. William Simpkins (1855 - March 1880), quarryman. Father was Joseph Simpkins (b 1825), mason from Ditteridge, and his mother Jane Cannings also from Ditteridge. 2. Elizabeth's second marriage was on 29 April 1882 to George Smith (1848 - 20 July 1896), who was working as a quarryman. George's father was William Smith (b 1812), a shepherd, and his mother Hester (b 1816). On 8 July 1871 George married Frances Yeeles (1844 - 1881) and had at least eight pregnancies but only three children who survived infancy: Florence Eliza (b 1875); William Alfred (b 1877) and Annie Louisa (b 1879). The latter two were still living with the family in 1891. ​3. Her third marriage was to Charles George Benjamin (1862 - 1905). Charles was the eldest son of George Benjamin (1833 - 1869) and Cecilia Bowman (1833 - 1909) at Box Quarries on the Hill. There were four children in that family. Elizabeth and Charles George Benjamin married in 1897. 4. The last marriage was to William John Dancey (1867 - 23 June 1933). William John Dancey was the son of Henry Dancey, stone sawyer of Box Hill, and Elizabeth Newman. William John may have taken over the work on his father's retirement.